Opening of the Exhibition TB 2 RL at +DEDE, Mörikestr. 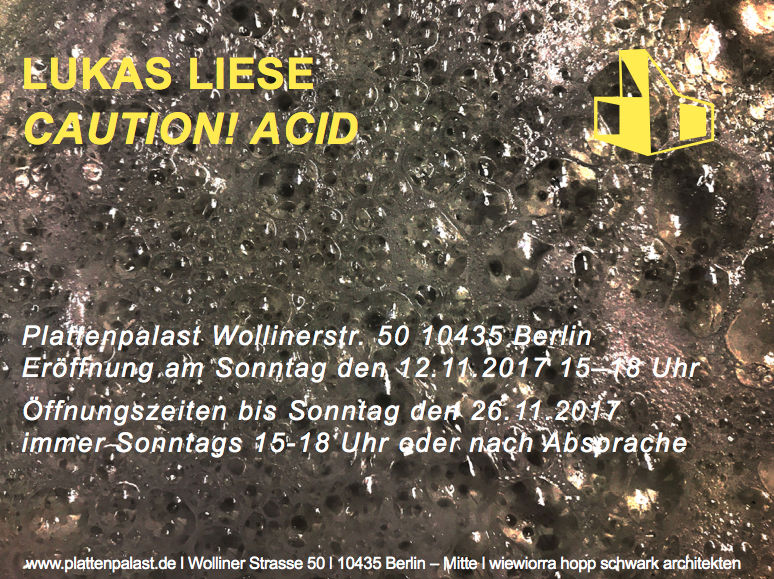 4-12, 12437 Berlin on November 30th from 6 to 10 PM. Together with Flavio Degen, Claude Eigan, Josephin Hanke, Olga Krykun, Lukas Liese and Agnieszka Szostek. Curated by Tristan Deschamps. Flyer by Wibke Stark. The exhibition will run over the weekend on appointments. We shape the Internet by uploading content. From images to articles, from products to people, with each passing day we become more accustomed to this behaviour. This transfer of information is not a one-way street. Our power to influence the media we consume has another effect: it alters our perception of the reality. are still present on social media. No longer do we trust the judgement of our peers, preferring instead the judgement of algorithms and strangers. Our new habits make us comfortable, happier, better connected. But they also highlight our malaise, our anxieties and the divides between us. With TB 2 RL +DEDE has brought together artists whose work addresses the spill over from the digital world into our offline lives. Happy to announce that I am awarded the Mart Stam Preis 2018 for my diploma Work Cousin Maria! The winners of the Mart Stam Preis 2018 will be showing their work at Künstlerhaus Bethanien/Kunstraum Kreuzberg in 2019! artburst berlin e.V. invites you to the exhibtioon Biopsie. Seven artists negotiate different aspects of climate change and environmental awareness. Installation, video projection and sound art are shown in the project space R. - Raum für drastische Maßnahmen, Oderstraße 34, Berlin-Friedrichshain from August 31st to September 14th, 2018. Vom 13. bis zum 22. Juli zeigen 43 Abslovent*innen der weissensee kunsthochschule berlin in den ehemaligen Garagen der Robben und Wientjes Niederlassung Kreuzberg ihre Abschlussarbeiten. 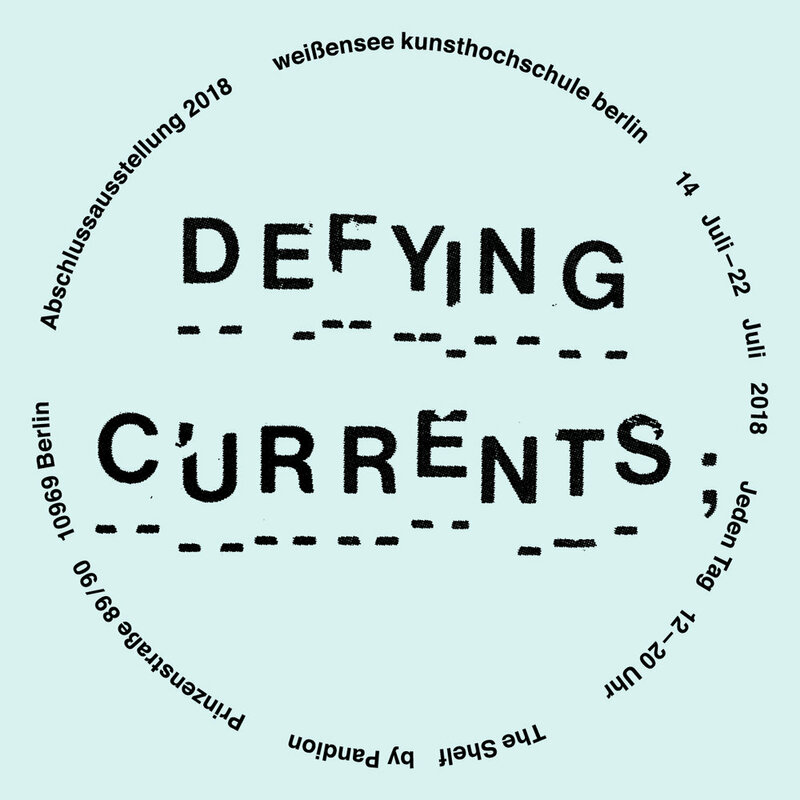 Unter dem Titel Defying Currents stellen Diplomand*innen und Meisterschüler*innen Skulptur, Malerei, Video und Installationen aus. 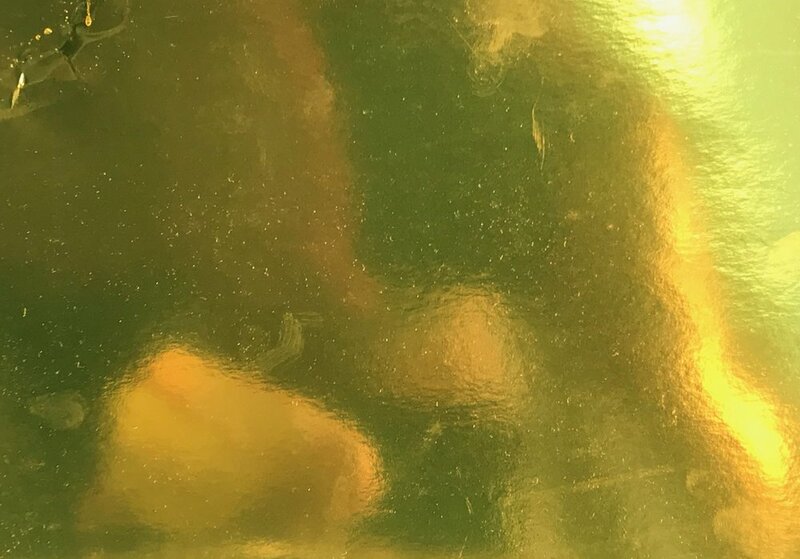 Die Folkwang Universität der Künste lädt herzlich zur Vernissage der Ausstellung »Querschnitt/Aufschnitt« von Janos Buck und Lukas Liese am 07.06.2018 um 18 Uhr in der Galerie 52 ein. Etwas alltägliches machen Lukas Liese (Weissensee Kunsthochschule Berlin) und János Buck (Folkwang UdK Essen) zum Gegenstand ihrer künstlerischen Betrachtung. Gezeigt werden Fotografien und bildhauerische Arbeiten die sich mit den gemeinsamen Themen Tier – Industrie – Produkt – Nahrungsmittel – Wurst in unterschiedlicher Form auseinandersetzen. I am showing new work in my exhibition Caution! Acid at Plattenpalast in Berlin Prenzlauer Berg. The exhibition is open sundays from 3-6pm or after apointment (mail: lukas.liese@yahoo.de). Besucht mich in Kalbe (Sachsen-Anhalt), wo ich vom 24.07.-07.08.2017 Stipendiat des 5. internationalen Sommercampus sein werde. 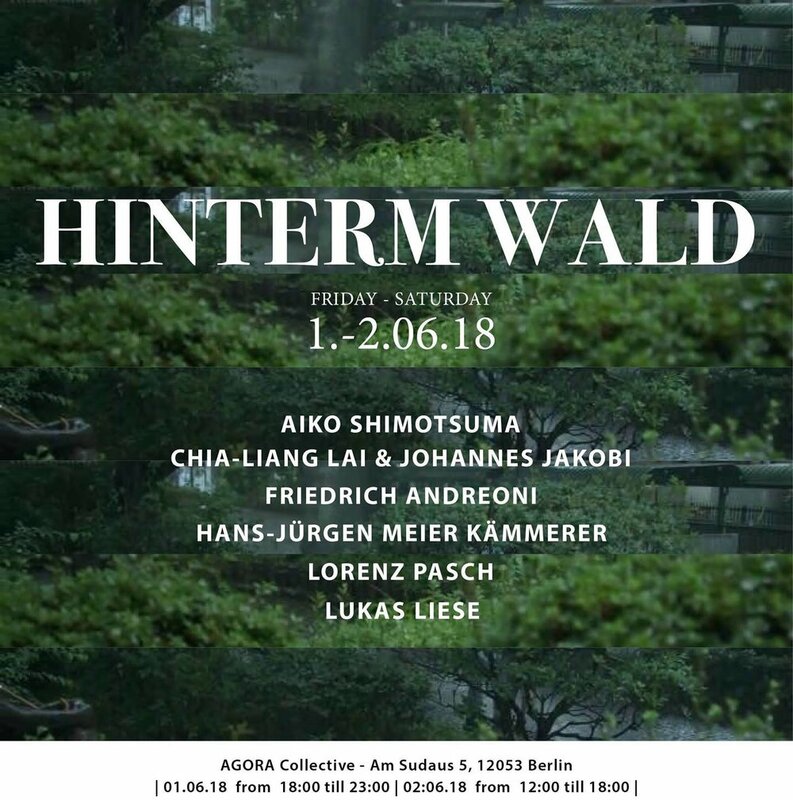 Group show with works from Berlin based Artists Philipp Dachsel, Josephin Hanke, Demian Kern, Lukas Liese, Olivia Martin Moore & Robert Tschöke. Visit Lukas Liese's first Solo Exhibition "Komp(l)ott" in the United States. Graduate Project Space of the Regis Center for Art in Minneapolis. Opening 05.05.2016 6.00 p.m.-8.00 p.m.
An exhibition of film, drawing, installation, sculpture, and photograpghy by artists from Berlin and the Twin Cities. Artists include Matt Dooley, Beth Dow, John Fleischer, Andreas Koch, Lukas Liese, Peter Schiering, Madeline Stillwell, Xavier Tavera, and Wiebke Maria Wachmann. Berlin Calling is organized by Department of Art faculty, Hartmut Austen with support from the University of Minnesota Center for German and European Studies. Exhibitiion runs March 1-11, 2016. Lukas Liese will visit the Department of Art of the University of Minnesota on a fellowship Grant of the University of Minnessota and a travel grant of the DAAD in from January to May 2016. Lukas Liese wird ab Januar bis Mai das Department of Art der University of Minnesota (Minneapolis/USA) besuchen. Dabei wird er durch ein Stipendium der University of Minnesota und durch ein Reisestipendium des DAAD unterstützt.